At DMV.ORG, we are committed to giving back both to our local and the global community. 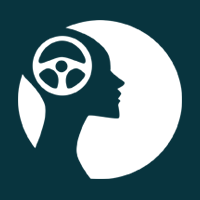 As one of the most visited driving/automotive site on the Web, we are in the unique position of being able to reach millions of people to positively impact issues that can change lives for the better. With this as one of our core company values, we have developed a comprehensive GiveBack program with three avenues of impact: Local, Financial, and Online. Our team is passionate about giving back to our community in any way that we can. Consequently, we have implemented a Local GiveBack program where we dedicate our time and efforts to a local non-profit for an entire afternoon or workday. Four times a year, we take a team trip and do everything from putting together care packages, to cleaning up gardens, to serving food. Check out some of our past GiveBack events! The Monarch School serves San Diego's homeless youth, providing everything from education, tutoring, and college prep, to basic necessities such as food, clothing, and medical care. DMV.ORG is extremely proud to have participated in multiple GiveBack events with Monarch, including hosting the kids and staff at our Encinitas office for a career presentation, followed by lunch and games at the beach! 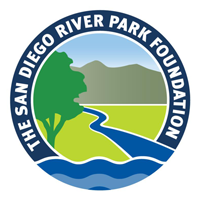 We took our efforts to Ocean Beach, where we worked with local volunteers to aid conservation initiatives at the San Diego River estuary and Southern Wildlife Preserve. This habitat is home to thriving wildlife and native plants unique to the San Diego River environment, and we were thrilled to do our part to protect this beautiful place that we're privileged to call home. Our team was grateful for the opportunity to serve a local family in need by partnering with Habitat for Humanity to work on vital home improvements. We threw our sweat and elbow grease into projects like tearing out a fence, pouring concrete, and digging up a lawn—all to make room for more eco- and water-efficient landscaping that reduces economic costs and overall maintenance. 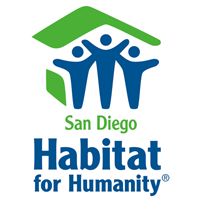 Are you a member of a non-profit in San Diego? We'd love to lend a hand! We're always looking for different organizations that make a positive impact on the community. Contact us at (866) 536-8674 to discuss potential opportunities. For DMV.ORG, success doesn't just mean revenue. We want to contribute to positive change in the world. A major avenue that we take to do so is by donating a portion of our profits to non-profit organizations dedicated to creating change in the domain of transportation. Drag racing star Doug Herbert founded B.R.A.K.E.S. after losing his two young sons in a tragic highway accident. Since establishing the program, he has worked tirelessly to make sure other teenagers are more prepared for the unexpected dangers of the road. Car control and recovery exercises. DMV.ORG is honored to give its 2016 Financial Giveback donation to this impactful organization, and we are proud to work in partnership with B.R.A.K.E.S. You can visit the B.R.A.K.E.S. website for more information about the organization. Are you a non-profit in the transportation realm that is committed to changing the current environment for the better? To learn more about our Financial GiveBack program and tell us about your organization, contact us at (866) 536-8674. Below are some of the Online GiveBack campaigns that we've engaged in. By shining a spotlight on these issues, we aim to help drivers of all ages and types, and make lasting, positive change. Distracted driving has become one of the most dangerous threats to drivers today. Through our online campaign, DMV.ORG aims to reduce (and eliminate!) this growing problem by putting the issue front and center. Each day, 9 people die due to distracted driving. You're driving blind for the length of a football field if you check your phone while driving at 55 MPH. An annual average of 3,000 teenage deaths each year are caused by texting and driving. Don't become a statistic. Learn more about distracted driving and take the pledge to stay focused at all times on the road. Did you know that just 1 person can save up to 8 lives as an organ donor? With a few moments, and you can become a hero to people who desperately need your help. An average of 22 people die every day waiting for a life-saving organ. You can sign up to be a donor at any age, and most health conditions don't disqualify you from registering. Over 120 million people have already signed up to be organ donor heroes. Help us spread the word about the benefits of becoming an organ donor. 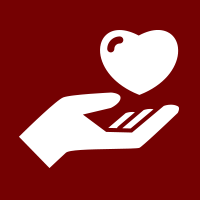 Check out your state's Organ Donation page, and learn how you can save a life in the most selfless, compassionate way.